The new Clark SRX reach trucks have improved durability and stability. 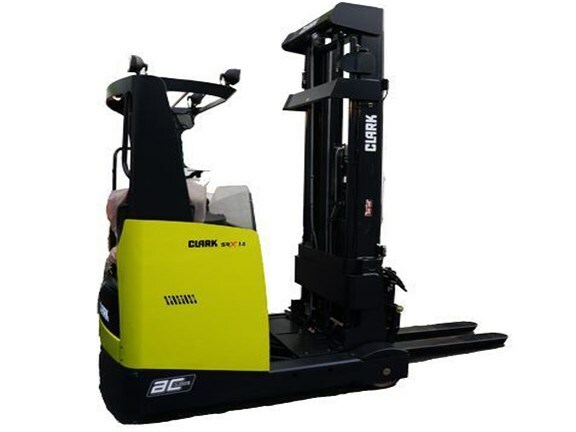 Clark has launched a new 14-16 series of SRX reach truck forklifts. 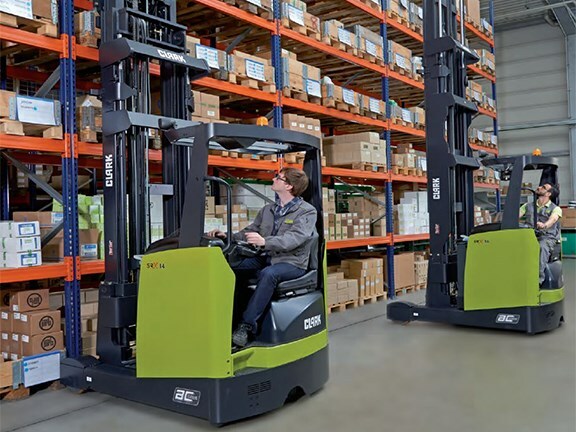 Clark has launched a new 14-16 series of SRX reach truck forklifts, which are faster and more comfortable to operate than its previous models, onto the Australian market. The two models available are the SRX 14 and SRX 16, which have a load capacity of 1400kg and 1600kg respectively, and use 48-volt batteries. Both feature a 100 per cent AC drive and hydraulic motor, which allows for greater speeds and improved productivity, according to Clark. Improved durability and stability was a major consideration for the company in the creation if this new design. The forklifts feature upright rails with an I-section design that give 55 per cent greater torsional rigidity than conventional flat rails. The overhead guard safety bars run parallel to the operator’s line of vision, and wide-spaced rails and a centre cylinder rotated to the side help to give the driver better visibility. All upright functions can be controlled by one joystick, and all settings and functions can be seen at a glance on the multi-colour display. The wear-free support arm brakes do not require servicing, as drum brakes do and an integrated hydraulic-damping system, provides smoother lifting and lowering. A compact design means these reach trucks can handle euro pallets in aisle widths from 2731mm. Non-factory standard options on the Clark SRX14-16 series include a fork camera and automatic horizontal fork positioning. If you're looking for used Clark reach trucks for sale, check out our listings.